Troy-based Delphi Automotive has appointed Ana Pinczuk to its board of directors. As a member of the board, Pinczuk will be responsible for overseeing the company’s new mobility technologies. Pinczuk has more than 30 years of experience in various high technology companies including mobile, IP networking, software, data storage, and security. Prior to Delphi, she served as the executive vice president and chief product officer of Veritas Technologies in California. Pinczuk specialized in information protection, availability, and insight solutions. In addition, she led the company’s $2.3 billion product portfolio and oversaw Veritas’ multiyear strategy and plan. Pinczuk also worked for Cisco Systems as senior vice president of services transformation and CEO. She helped the company’s transformation by growing the cloud, software, IoE, and professional services sectors. 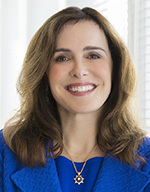 Pinczuk was then promoted to senior vice president of sales, where she managed services and solutions sales for Cisco’s 28 Global Enterprise Theater clients. Pinczuk received a master’s degree in mechanical engineering from Cornell University in New York, an executive master’s degree in technology management from the University of Pennsylvania, and a master’s in software management from Carnegie Mellon in Pennsylvania.